Totem Poles and Kayaks against Fossil Fuels event on Sunday morning, August 28, at City Beach Park, 102 Bridge Street in Sandpoint, Idaho. The welcoming and blessing ceremonies of the Fourth Totem Pole Journey of the Lummi Nation House of Tears Carvers, co-hosted by the City of Sandpoint, Idaho Conservation League, and Lake Pend Oreille Waterkeeper, commence at 9 am with tribal, nongovernmental organization, and city speakers. 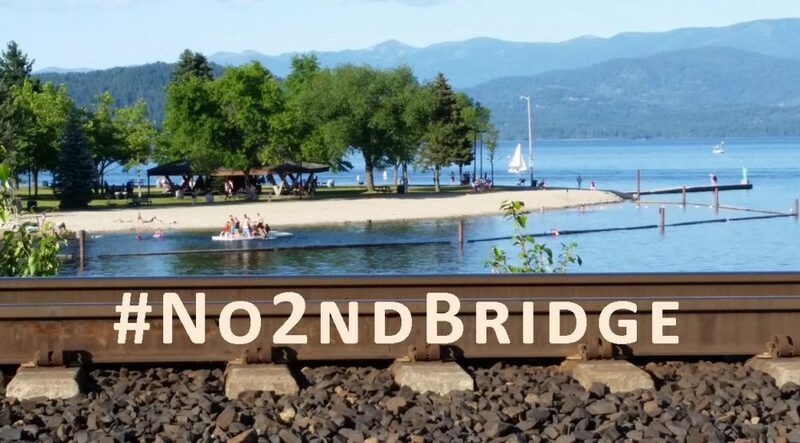 The recently combined Second Panhandle Paddle action, organized by Wild Idaho Rising Tide and allies, follows at 11 am with music and an on- and off-shore rally against Northwest fossil fuel transports and terminals, launching a kayaktivist flotilla around the Lake Pend Oreille rail bridge from City Beach Park. Please view and profusely print and post the attached, color, letter-sized Totem Poles & Kayaks Against Fossil Fuels Flyer, while we provide more information about these opportunities during the next few days on the WIRT website and facebook pages. Thanks for your relentless activism!